$2 off the normal rate exclusive to Greenily readers! Did you know that the average American throws away an average of 20 pounds of food per month? That food ends up in landfills (creating harmful methane gas as it decomposes) or down the drain (where water treatment plants must use energy resources to filter and clean water). One easy way to get a handle on this is to compost your food waste! All you do is separate your food waste from your regular trash and recycling into a separate bin. What? You say you don’t want to all that food waste hanging out in a backyard composter. Then how about signing up for a compost pick up service called The Compost Crew!? The Compost Crew is a clean, convenient, and simple weekly collection service for your food waste and other compostable material. Every week, The Compost Crew comes by your house, empties and cleans the bin, and replaces the liner for you to start anew. And, every 6 months, customers are eligible to get some finished food waste compost back for use in their own garden or to donate to a local garden or school. Customers may also suspend their service when away free of charge. Save On The Compost Crew’s Home Pick-Up Service! Thanks for signing up to get $2 off the monthly subscription rate (regularly $32) for The Compost Crew! easy, convenient home compost pick-up service. And, as a bonus for signing up, we’ll send you some other great Greenily content we think you’ll enjoy! Save on The Compost Crew Pick Up Service! Keep food waste out of landfills and try composting instead! 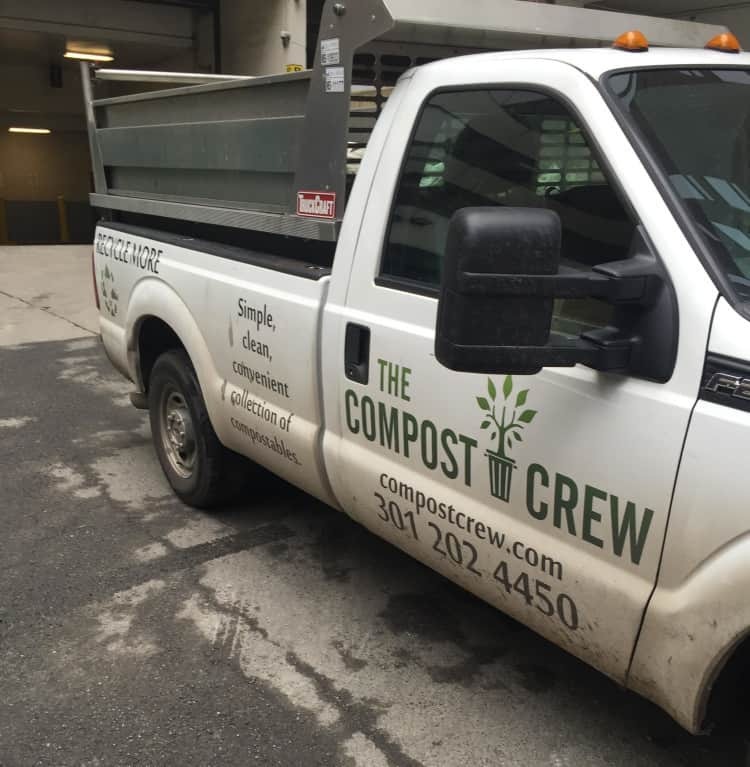 It couldn't be easier with The Compost Crew - a weekly compost pick-up service! And just for being a Greenily reader, get $2 off the monthly subscription rate! Enter your email to reveal a special link that will take you to The Compost Crew web site where you can sign up!